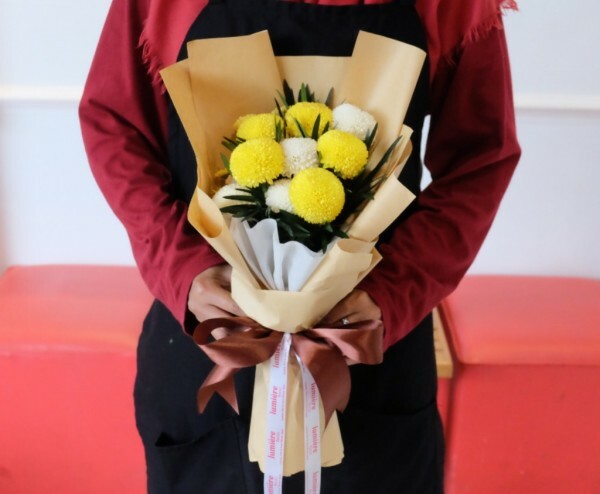 Rp 600.000 Bringing a special flower from outside nation named with Lisiantus. Indeed they will bring happiness to everyone who stares at it. 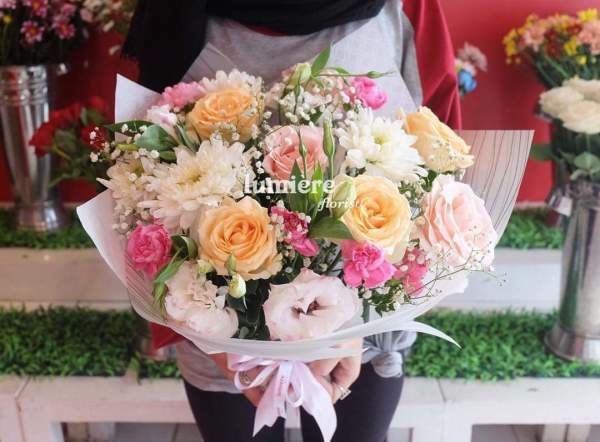 Rp 750.000 Sweet combination such as roses and lily casablanca, fill up every sweet heart of lover. Rp 850.000 Tell her you love her, give her the most cherist of our collection today! A beautiful sweet big garland, fill up with amazing 30 stems of roses. 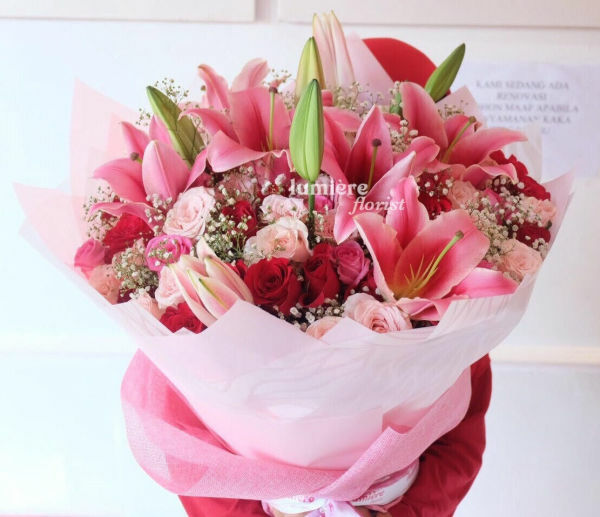 This is undeniable gift to make her fall in love again ! 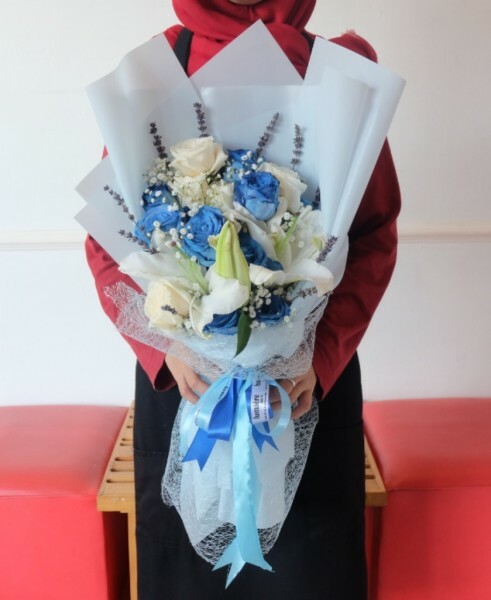 Super sweet bouquet, to presentate your super sweet love for your sweetest one! 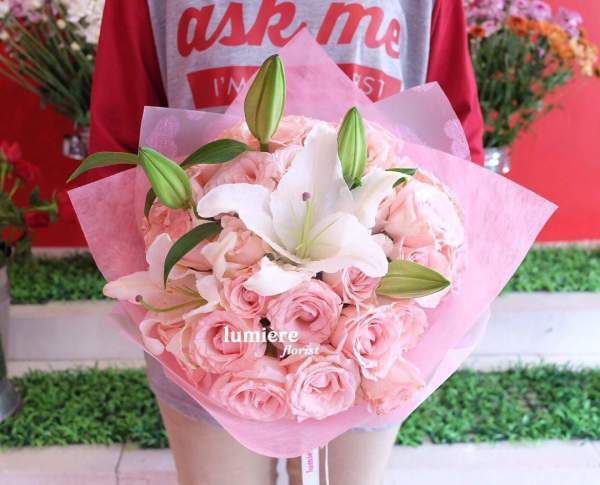 Rp 2.000.000 Can't wait to see her reactions when she receive these beautiful flower. 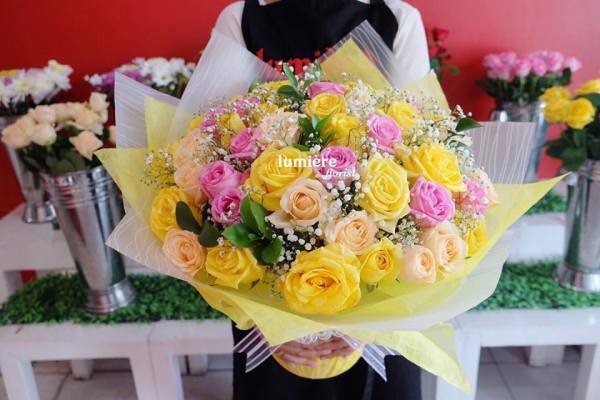 Rp 200.000 Every gift from a friend is a wish for your happiness. 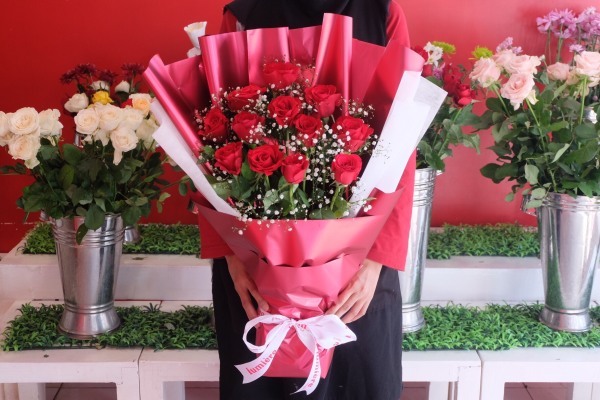 Rp 2.300.000 large bouquet with 150 roses.